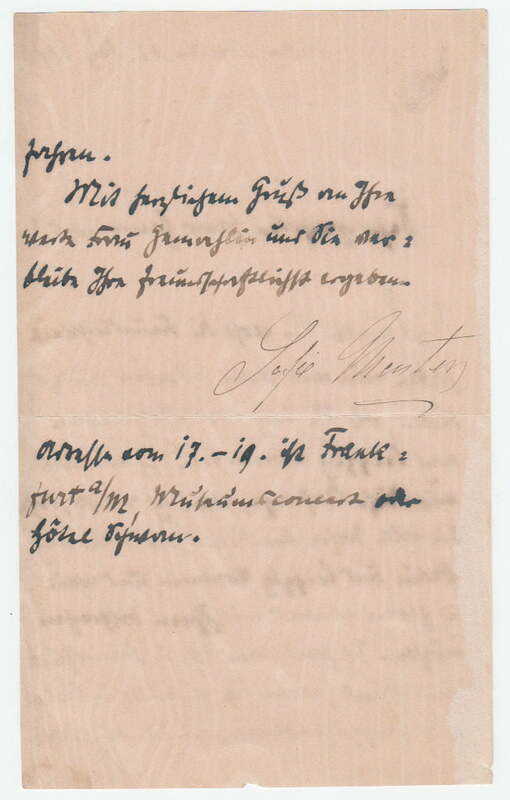 Letter in another hand, bearing her signature ‘Sofie Menter’. In German, untranslated. 2 pp. 7 x 4 inches, toned. Baden Baden, 12 February 1890. Sophie Menter (1846 – 1918), German pianist and composer who became the favourite female student of Franz Liszt. She was called l’incarnation de Liszt in Paris because of her robust, electrifying playing style and was considered one of the greatest piano virtuosos of her time.